The weekend was about as perfect as we could have asked for... The weather was great, the tailgating was incredible and the Brewers played spectacular. The RFB crew is 3-0 at games this year and we'd like to keep that winning streak going. Our next game is Wednesday, April 23. "You want to have a good time? Come watch good, aggressive, hard-played baseball. They saw it this weekend." - Sheets was dominant today. The Brewers' right-handed ace pitched his first complete-game shutout since 2001 and has not given up a run in two starts this season. His curveball was perfect and his fastball was touching the high 90s with location. Fun to watch. - Parra and Villanueva also pitched well. It would have been nice to see them get at least six innings in, but it's hard to complain because they both put the Brewers in position to win the game. - Rivera and Parra are a comfortable tandem. - Bush struggled in his first start and may be facing a demotion to the pen when Gallardo returns if he doesn't improve fast. - Speaking of Gallardo, he's still on pace to return around April 19. - Gagne rebounded after struggling in a game in Chicago. He looked very good in collecting his first save in Milwaukee on Saturday. - Hall had a great game Saturday with two home runs and a single. He said he made a correction on his swing after watching video on the bus ride home from Chicago. It was great to see Hall have a big day, but he still looks lost at the plate at times this season. I have not looked at the stats, but Hall has to be among the leaders in strike outs on called third strikes in baseball over the past few years. That drives me absolutely nuts. Protect the plate with two strikes Billy! - Kendall continues to hit, continues to work well with the pitching staff and continues to play as hard as anyone. Kendall will not keep up this pace at the plate, but if he does not slump badly, the state is going to have a love affair with our new catcher. He's the type of level-headed, blue-collar player Wisconsin people love. - Fielder has a nice batting average and pretty good numbers all around, but I just haven't been impressed by him. He hasn't hit a home run yet and hasn't looked comfortable at the plate. Hopefully he gets in a groove soon. Check out this related story. - Braun, on the other hand, looks to be every bit the batting machine in 2007. He has two home runs and has been slapping the ball all over the place. It's looking more and more like the Brewers have one of the best hitters in baseball in Braun as pitchers simply cannot figure out how to get him out. - The Brewers have been impressive on the base paths. - Mike Cameron has not been missed so far, but will be a nice boost to the team. It's nice to think Milwaukee is 5-1 without a key outfielder and key pitcher. - Talks continue between management and Braun and Fielder's agents regarding long-term contracts. This will likely be a slow process and we won't hear much until a deal is done or close, if one gets done at all. Management may also be talking to Hart about a long-term deal. - Gabe Kapler is raking. The guy has two bombs and is batting almost .500 in limited at bats. And he was retired last year! The Brewers bench is even better than I thought it was. - Weeks scored in 17 straight games, one shy of the modern-day record. - The bullpen roles are not completely defined yet. - Miller Park may one day feature turf. - Gwynn is recovering from a hamstring injury and could be ready to go Tuesday. 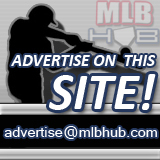 - Outfield prospect Matt LaPorta started his AA season strong with a grand slam. - The Brewers say experience is the reason their fast start this year won't be wasted like it was last year. - Michael Hunt says the Brewers are easy to like. - Dave Pinto, of Baseball Musings, on the other hand, says, "There's not much to love about the Cubs right now." - The 13 runs in the home opener was a franchise record. - Haudricort has a piece on the Brewers medical staff. - Mark A had a nice weekend as he was in town for the home opening series. - His dad continued the tradition of signing the national anthem before the home opener. It was his fourth straight year doing it and the Brewers are 4-0 in this games. - The Brewers cracked down a bit on the tailgaters that never quite made it into the game opening day. - Jim Powell has updated his blog a couple of times. - Former Brewer Wes Helms is a Marlin again.